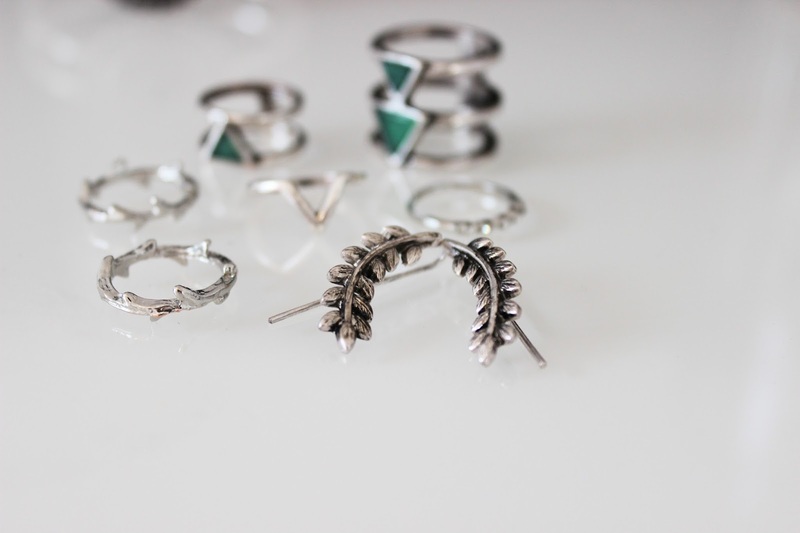 Oh jewellery, what a love/hate relationship we have. I love the look of jewellery, I love what it can do to an outfit and really tie it together in some cases. However, what I don't love is the price tag of some things. Prices are obviously justified for what you're getting, but I can't afford to buy everything on my wishlist - even if I really wanted to! I popped into Forever 21 in The Trafford Centre last weekend and fancied treating myself to few bits. I was hoping to grab a few clothes but honestly I left feeling a little underwhelmed. Nothing really grabbed my attention and it was all a little bit the same? With that in mind I headed over to the impressive jewellery stands. I felt like picking up some more bold items to add to my relatively small collection. I don't ever wear bracelets, I never really have I'm much more of a ring girl so to make a bit of a change I found this beautiful cuff. 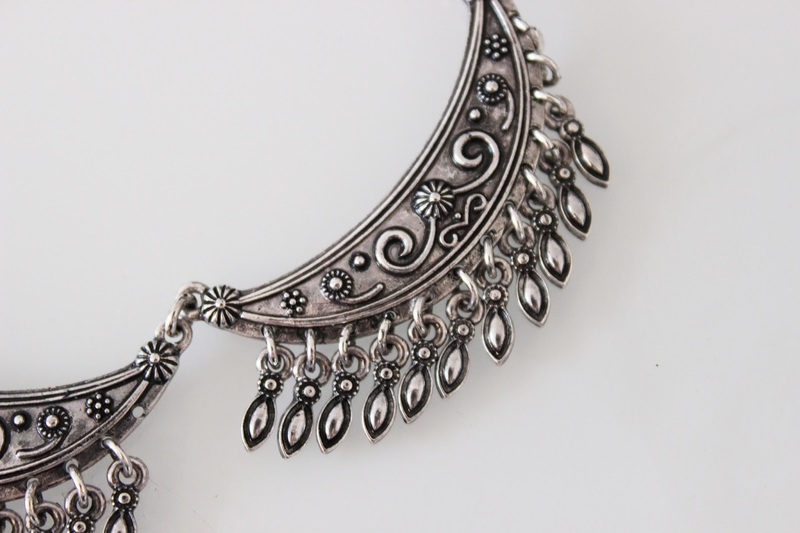 I adore the detailing on both the necklace and cuff, intricate but enough to be noticed. I have to admit, as much as the earrings are lovely they don't seem to sit in the lobe as I expected, still wearable due to the long bar back but can be a little tricky to get into place. I bought the rings in medium (I think F21 sizing isn't all that clear or I'm being silly) and they are true to size for me and all sit nicely as normal or midi rings. Necklace £6 : Simple outfits/under shirt collars as a statement piece. 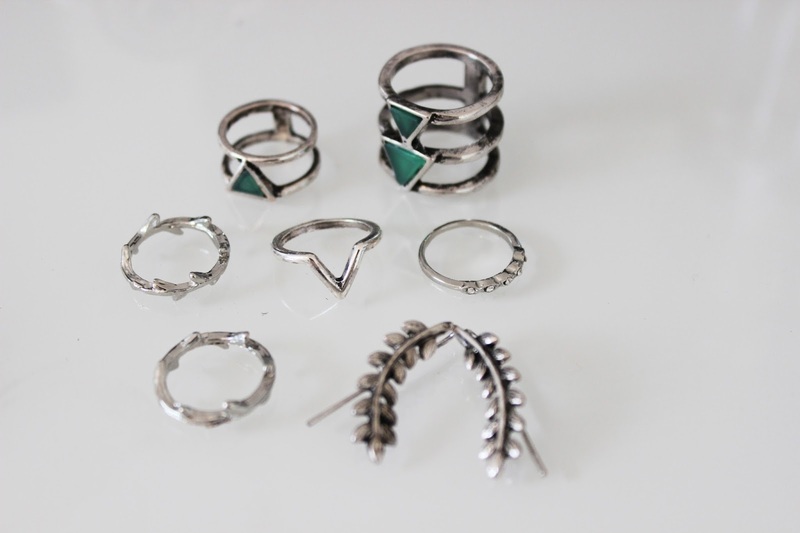 Rings: £5: Stacked and midis. Earrings £3: In lobes or if you have your cartilage pierced, they seem to fall and place better in that section of the ear. Bracelet £5 : as a detail or with a long sleeve item. So, there's a few things I picked up and have been wearing religiously for the past week! How would you style them? Forever 21 is the ideal place for jewellery I find. It's always 'on trend' and doesn't really hurt the bank account. I do have issues with their earrings too though, they always break! I hope they have these over here in Canada! I love the one with the leaf(?)! love the pieces you got! 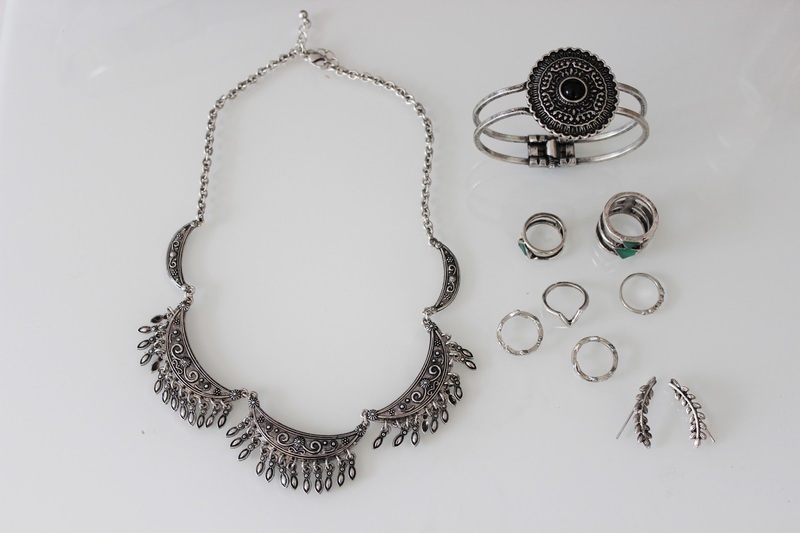 Beautiful jewellery, I think the range in Forever 21 is amazing :) I love your blog and I have followed you with Bloglovin. If you ever get a chance to check out my blog I would be delighted, thanks! 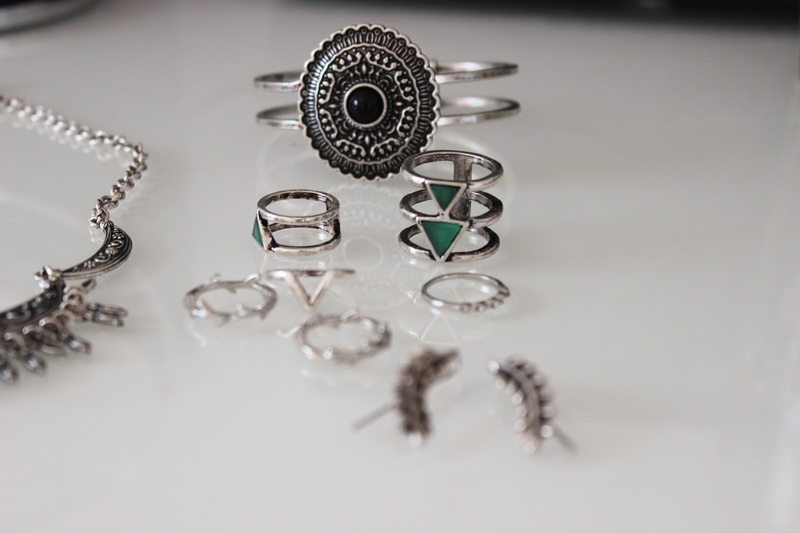 Forever 21 always has such great jewellery and its so cheap! Great picks! I totally love the earrings and the cuff. You have really great taste!